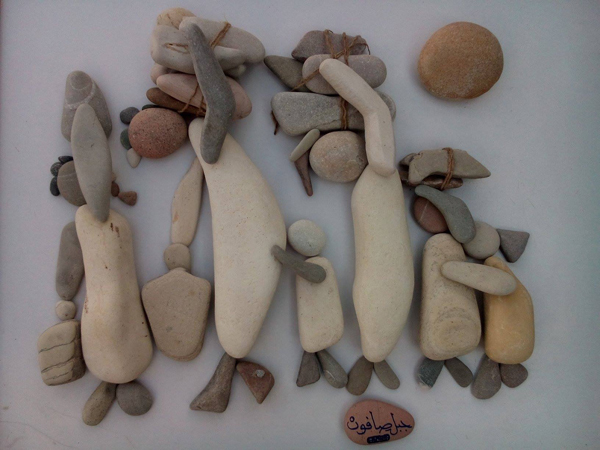 The Syrian sculptor Nizar Ali Badr is a discreet man. 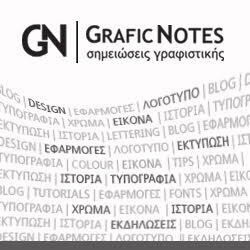 Words are not his thing. 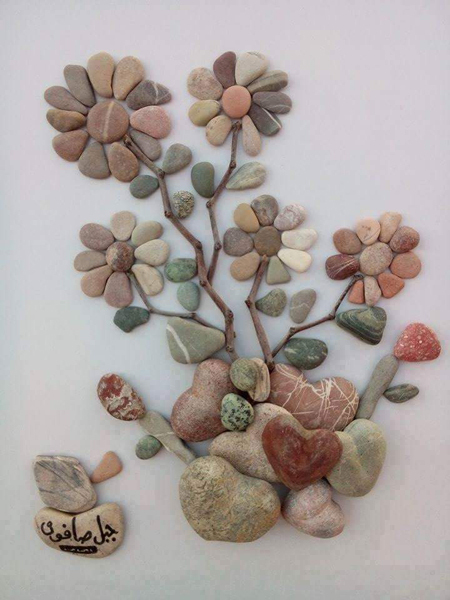 It is the stones. 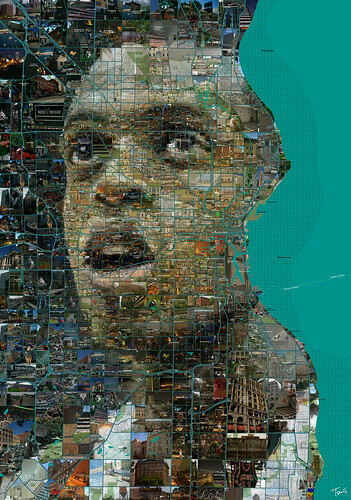 We know nothing of him, nor exactly where he comes from and where he is right now. 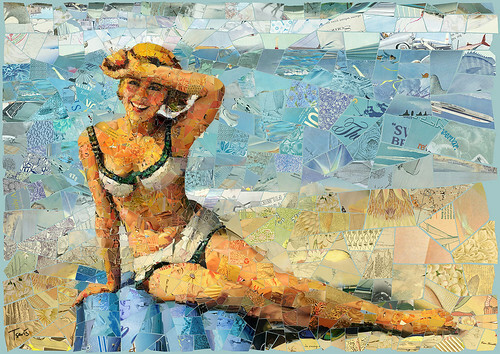 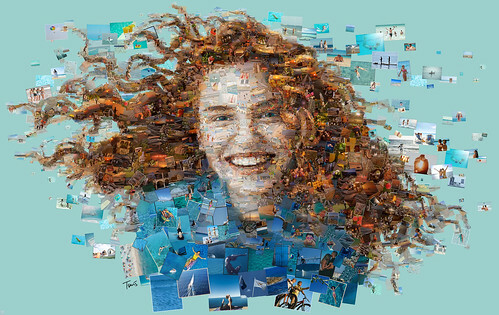 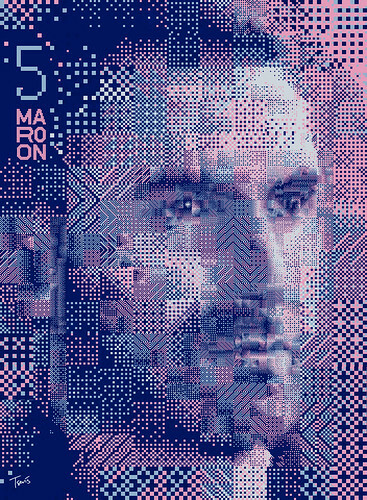 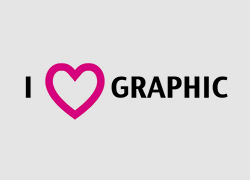 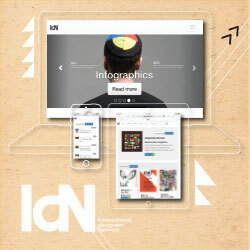 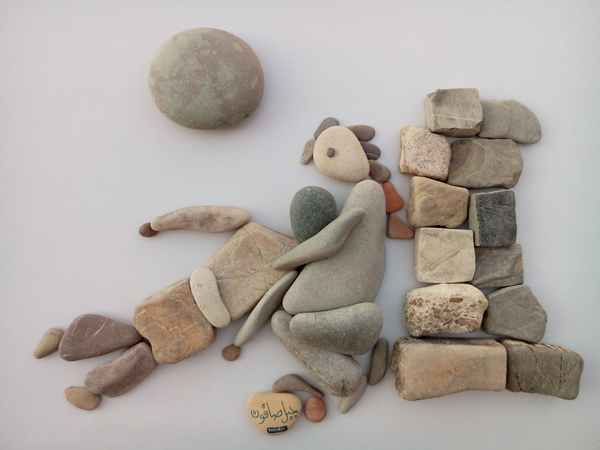 You may find traces of him on two, three online sites, moved by his compositions on the Syrian refugees where they present Nizar Ali as a “migrant”. 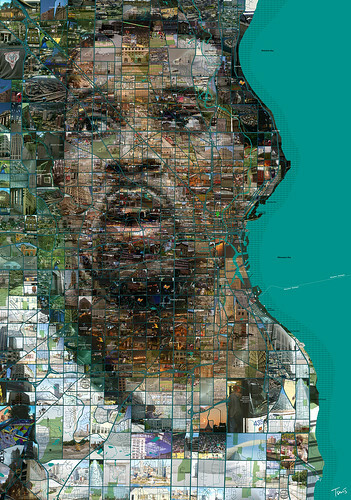 I found these photos of his compositions on a wonderful article written by Naz Oke on www.kedistan.net. 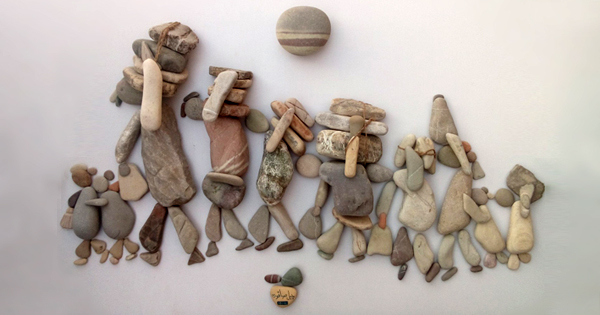 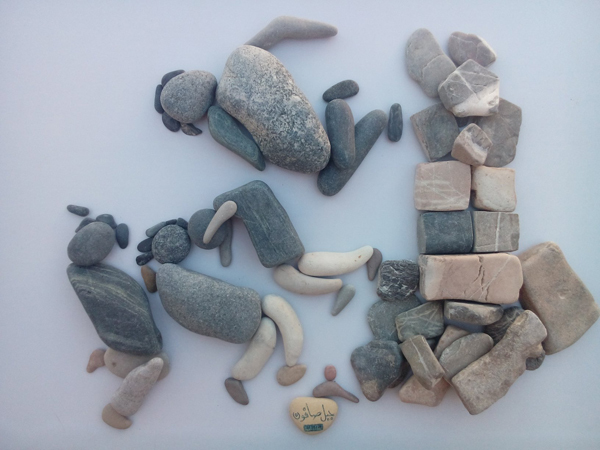 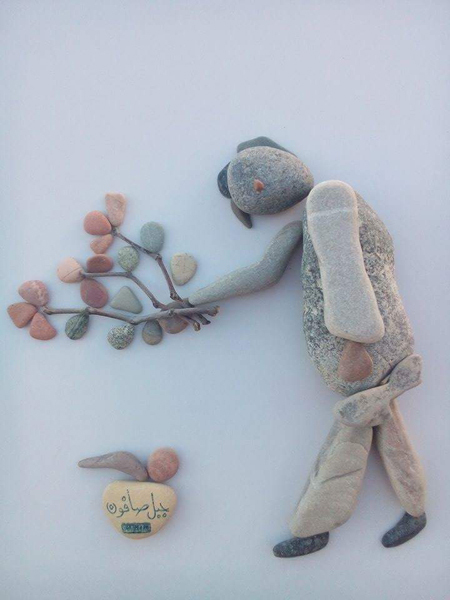 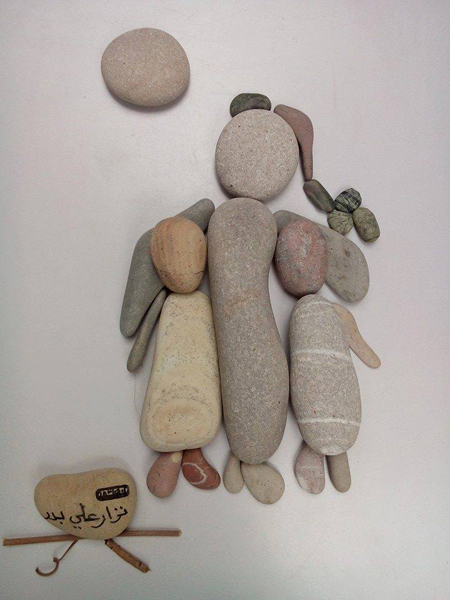 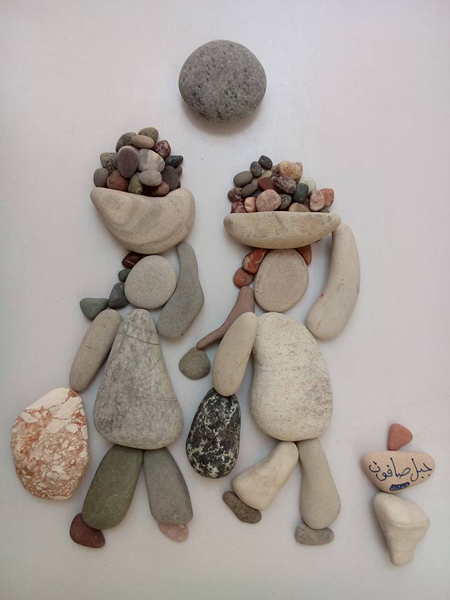 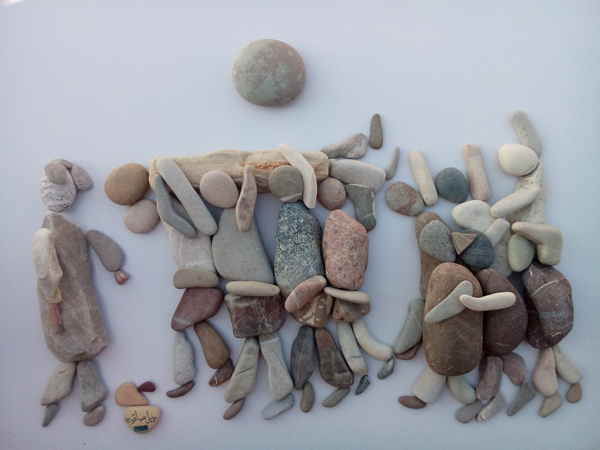 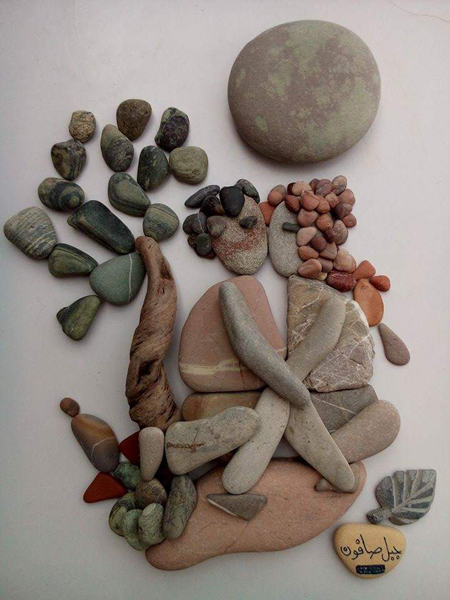 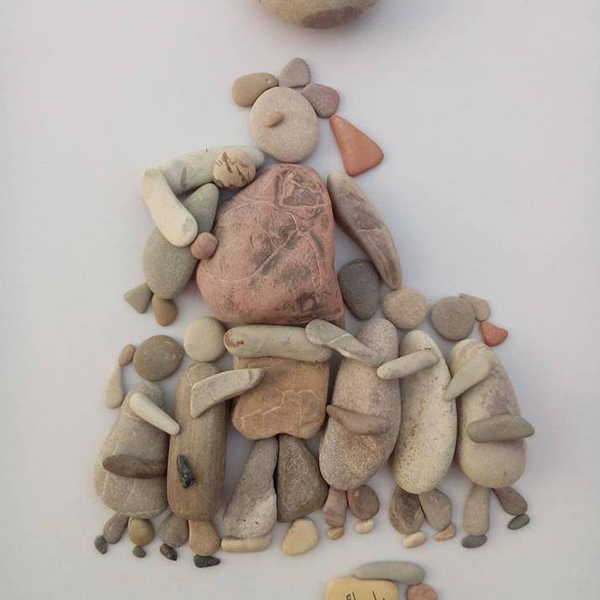 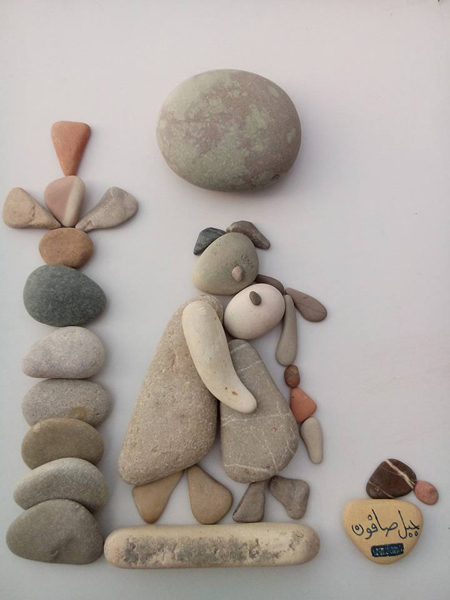 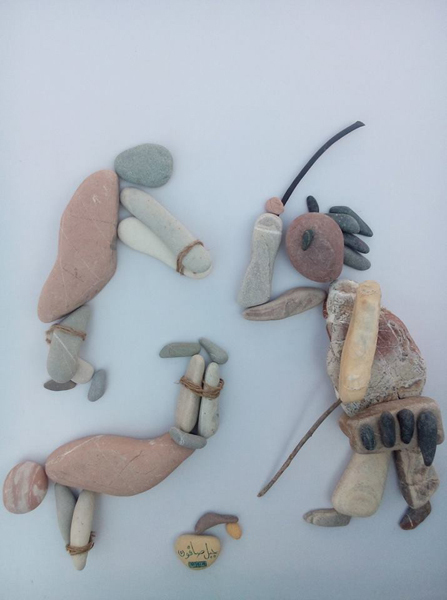 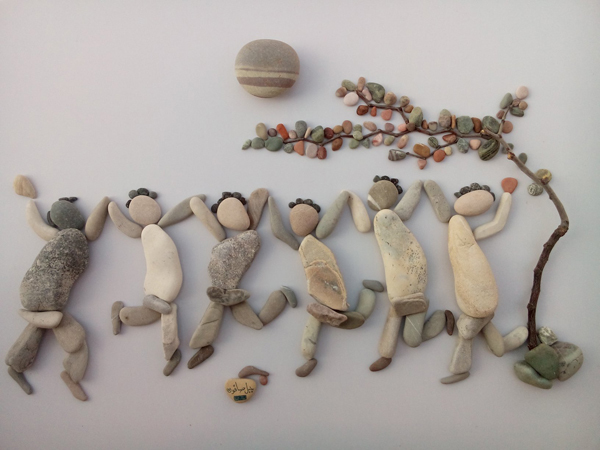 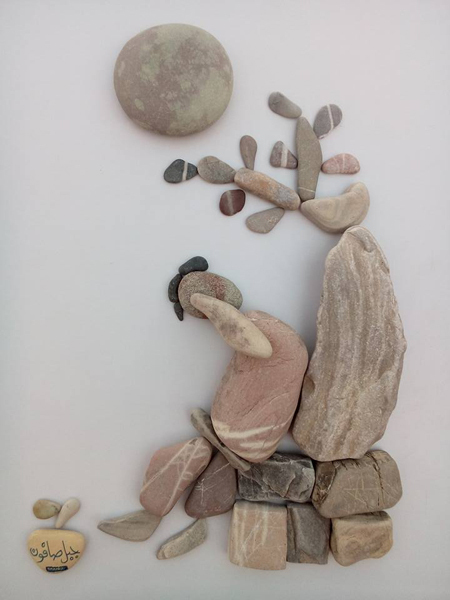 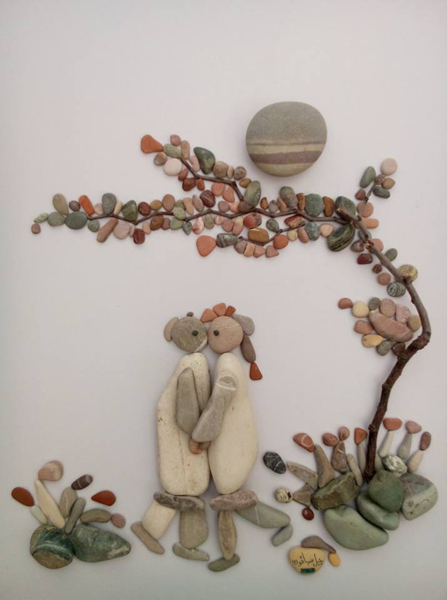 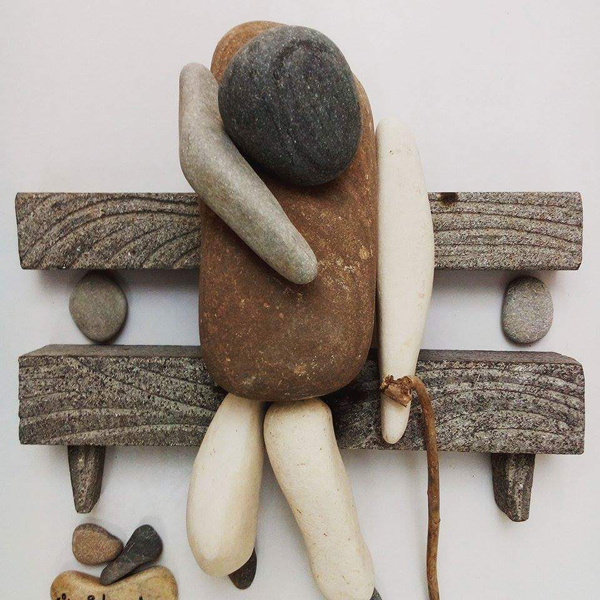 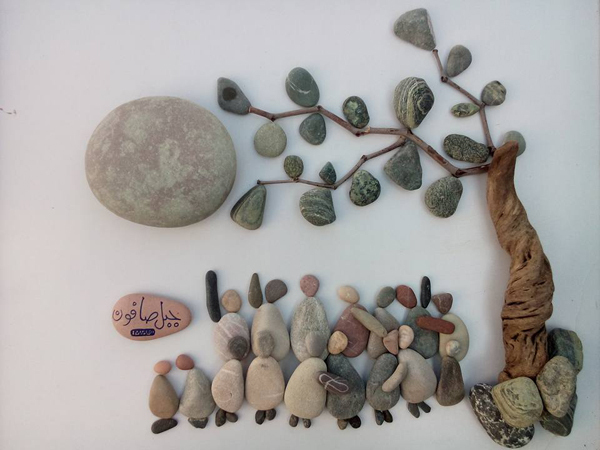 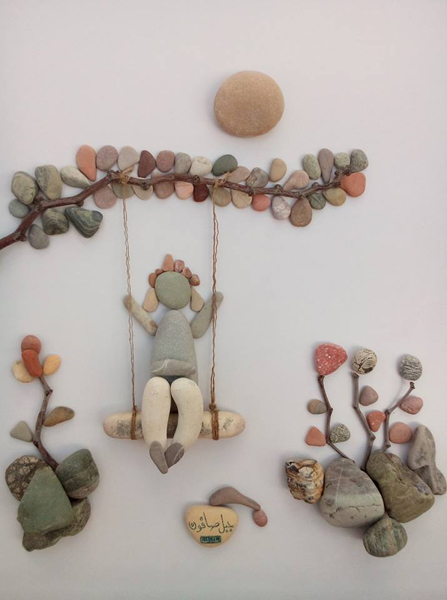 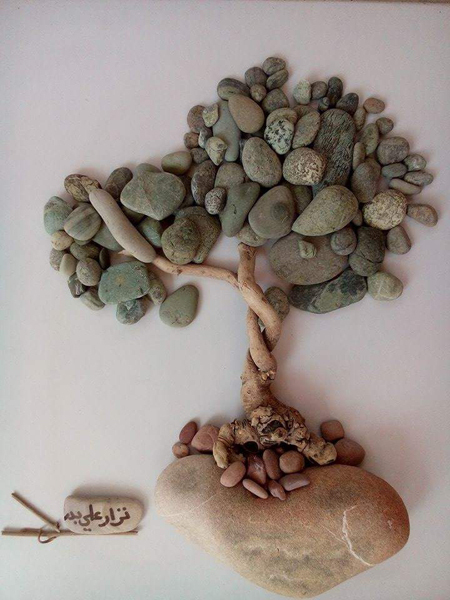 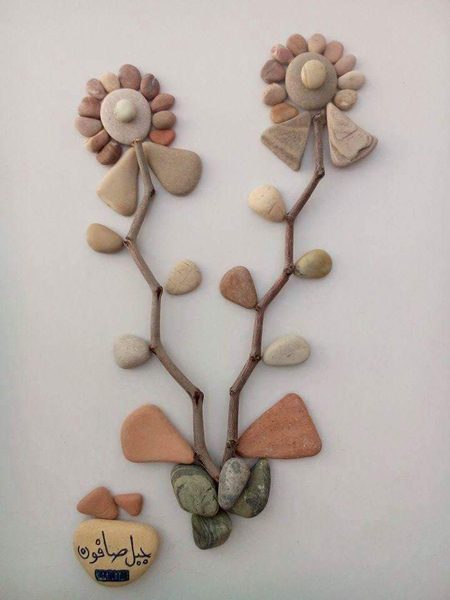 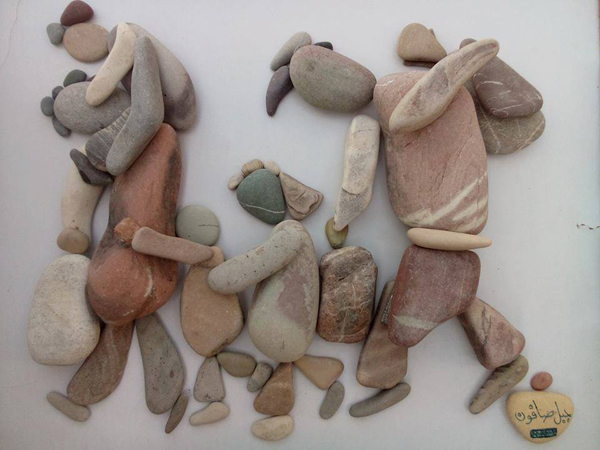 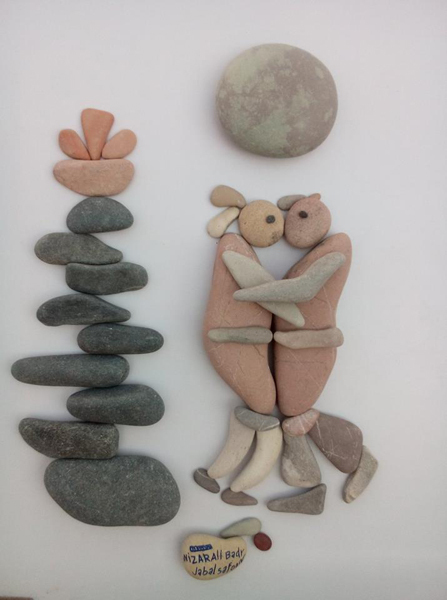 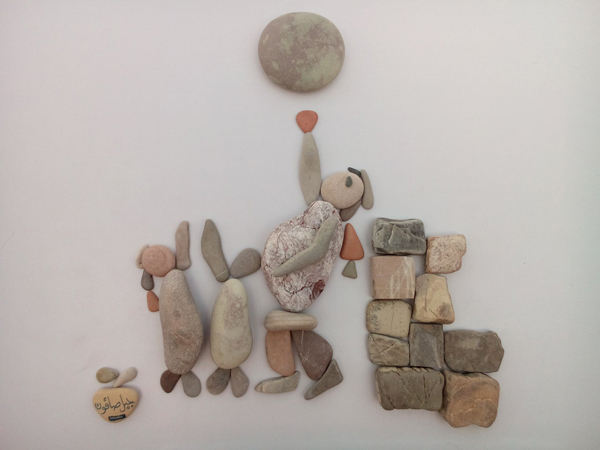 Nizar Ali, tells the migration story with his stones. 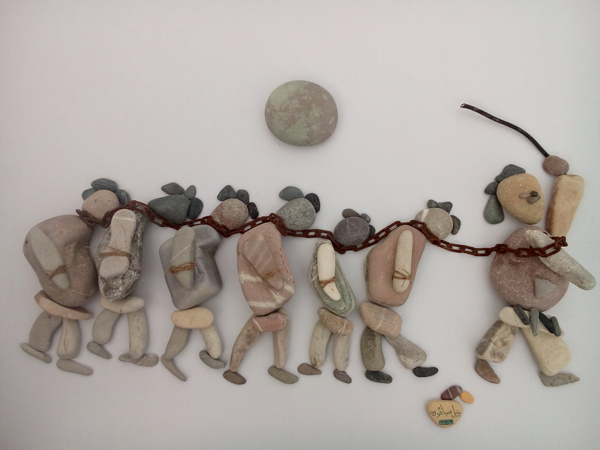 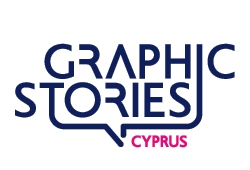 I invite you to enjoy the art but also to feel the migrant’s struggle in life … View more on the original article.